StoryCrate is a situated tangible interface developed alongside BBC Research and Development to explore how on-location human-resource can be leveraged to speed up the post-production process. 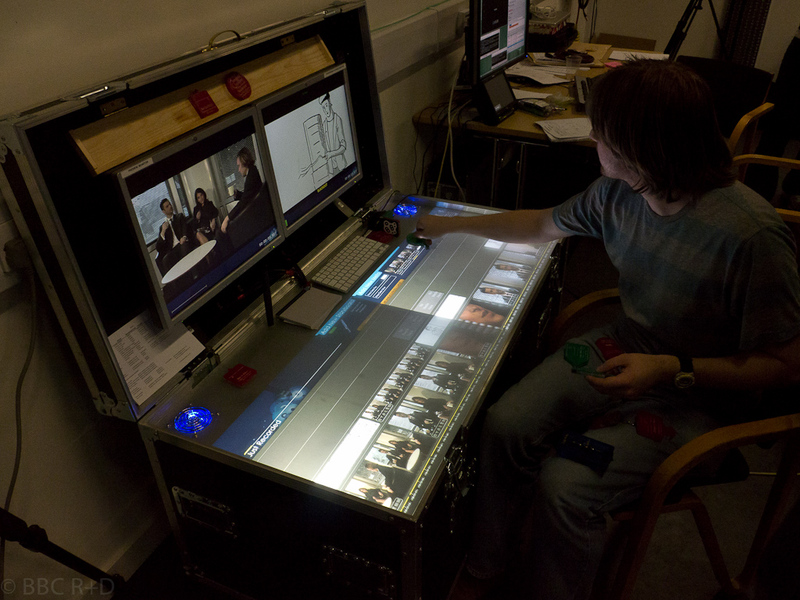 The system is deployed on-location, and provides a basic linear multi-track editing capability and playback to the crew. The system was deployed on-location at a shoot commissioned to test how such a system could integrate with existing film practice, particularly given existing practice prevents most crew members viewing footage on-location.